For years this mosque was known as the Dayton Mosque. 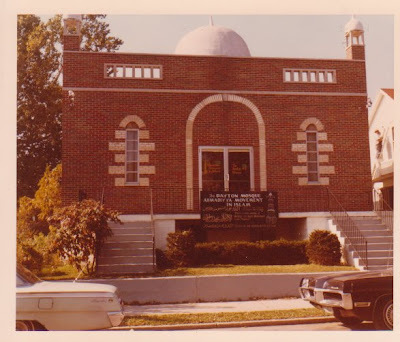 This mosque is historically significant because it was the first mosque built from the ground-up by African American converts to Islam in the United States. Currently, the official name of the mosque is Masjid Fazli Umar. i did a few searching and wound up here "The First Ahmadi Muslim Mosque, USA". Hi there very nice site!! Guy .. Excellent .. Superb . but I had to ask. Does managing a well-established website like yours take a large amount of work? and in my view suggest to my friends. I'm confident they will be benefited from this web site. and wound up here "The First Ahmadi Muslim Mosque, USA". And I do have some questions for you if you do not mind. of all of all your community pages like your twitter feed, Facebook page or linkedin profile?